for $2,400,000 with 4 bedrooms and 5 full baths, 1 half bath. This 5,265 square foot home was built in 1994 on a lot size of 30533.00 Sqft. 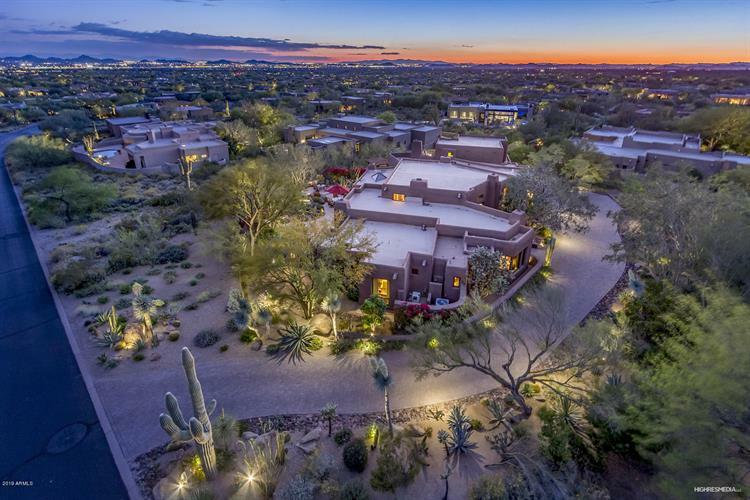 One of the finest homes in Desert Highlands, this incredible residence was completely remodeled from top to bottom with the highest quality finishes and interiors. 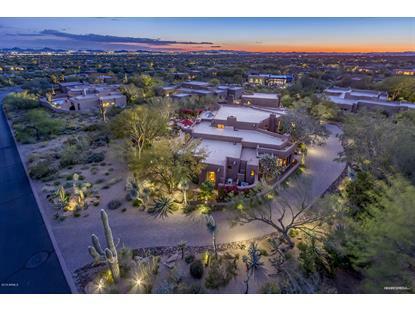 Designed with a North/South orientation, the views and covered patios are perfectly positioned and the outdoor landscaping like your own Desert Botanical Garden. The great room design offers generous living spaces with multiple fireplaces, a walk-in wine cellar and two powder rooms. The master retreat and two en-suite bedroom are inside while a second level guest casita offers a family room and view balcony. The island kitchen exudes charm and function with a fireplace, warming drawer and pull-out appliance bar. Outdoors you'll find serenity with a built-in BBQ, water feature, multiple seating areas and a heated spa.